Non-coding RNAs include structural RNAs (transfer RNA [tRNA] and ribosomal RNA [rRNA]) and small RNAs (sRNAs). They have been mapped by a combination of tiling arrays and RNA-seq with the prediction of transcription start sites. See also Guell M et al. 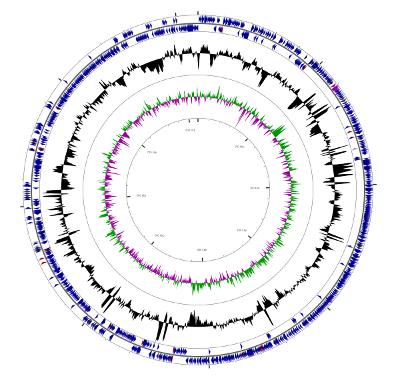 (2009) Transcriptome Complexity in a Genome-Reduced Bacterium. Science 326 (5957):1268-1271. Copyright 2010-16, Luis Serrano group. All rights reserved.